I went to the big Comic Convention in Chicago, C2E2, this weekend dressed as Madame Masque. It’s an old school character and not many recognized me, only 13 people recognized the character all morning…Suddenly one old guy dashes in front of me and takes several pictures, he is really geeking out about my Madame Masque….turns out it was George Perez himself, the Marvel artist. That is the biggest complement any convention goer can have.. I was thrilled. 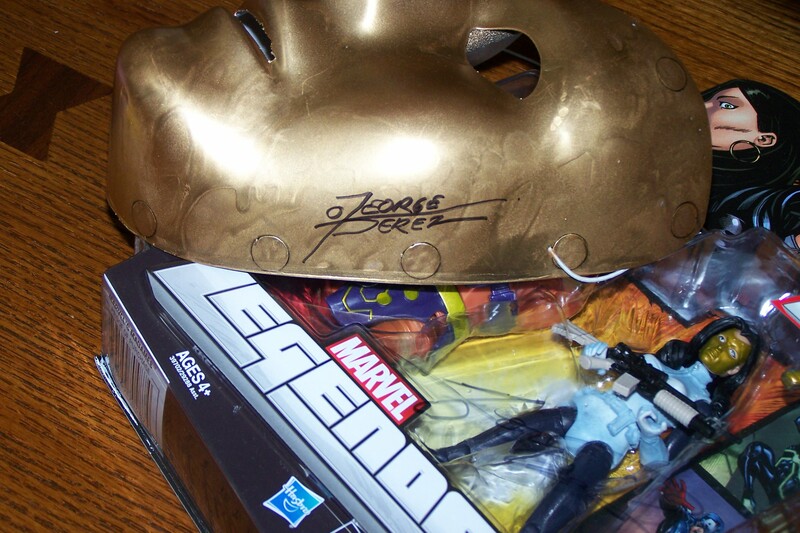 I got him to sign my mask and a doll later in the day and I stood talking to him for a while…he is the coolest.